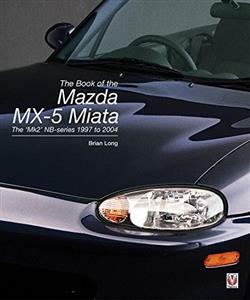 Researched and written in Japan with the full co-operation of the factory, this book is the definitive story of the second generation of Mazda's MX-5 - the car that re-invented the affordable lightweight roadster, a species that was thought to be extinct as the 1990s drew near. Successful immediately, the MX-5 (also known as the Miata, or Roadster) spawned many imitators, but remains the world's biggest selling sports car. The series has now been in production for almost 30 years, with new generations following the concept of the original, much to the delight of fans all over the world.